I am a career woman, married with 3 children. I have an amazing husband who cares for our kids while I work my dream job of practicing family medicine in the city I grew up in. I do three things outside of being a doctor, a wife and mother – I run, I blog, I cross stitch. Being career woman and mother also gives us LOTS to write about! Our life in words, huh? Exactly!! It’ll be something nice to have to show the kids when they’re grown up. Thank you for writing and following! I noticed that you were subscribed to my previous blog (www.teawithMD.com) via wordpress. 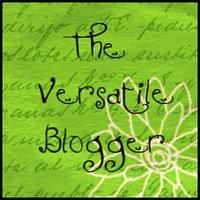 In the past few weeks I have actually given my blog a complete makeover and transitioned to a different server. Unfortunately this means all of my dear readers got unsubscribed from my website! If you would like to continue reading about health and beauty through a medical lens, please consider subscribing on my blog or liking my Facebook page (www.facebook.com/teawithMD/) to get the latest updates. Hey! Always nice to bump into fellow doctor moms who run! Edit- “Fellow doctor blogger mum who runs”! Just found your blog via Dr Tiffany’s blog. I think I’m going to like your blog. I just found your blog and couldn’t help but relate to the things that you are saying about family medicine and being a mom. Your posts are awesome!! I really enjoyed the latest posts about all of the people with colds. We have had such an influx of patients seeking medical attention for colds and want it to go away faster. I feel like a broken record some days for patient education. I am a Nurse Practitioner and have just started my own blog about balancing working, motherhood, being a wife and competing in triathlons. I just finished my first Ironman and would love for you to check out my page. It is a brand new blog at http://www.trihardmom.com or checking out my facebook page! Thanka for stopping by!! 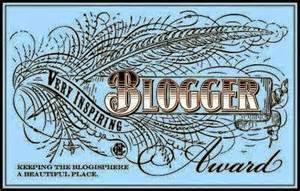 I look forwRd to reading your blog!